(AFRICAN EXAMINER) – Second seed Rafael Nadal has deferated a Greek youngster Stefanos Tsitsipas’ to reach his fifth Australian Open final. 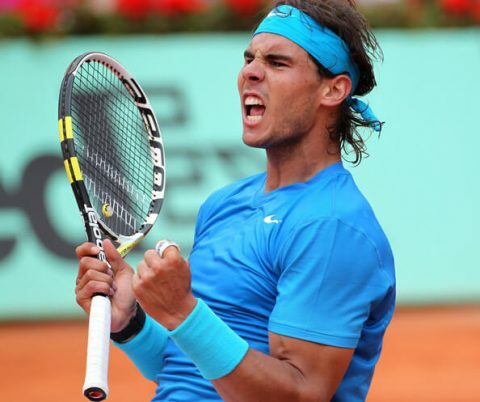 Nadal, 32, was in devastating form as he beat the 20-year-old 14th seed 6-2; 6-4; 6-0 in one hour and 46 minutes. The Spaniard however cracked 28 winners, breaking Tsitsipas’ serve six times and only facing one break point himself. With this outcome, Nadal will play either top seed Novak Djokovic or France’s Lucas Pouille – (both who meet on Friday) – in Sunday’s final. Nadal said after the game: “It was a great match, it has been a great tournament and I have played very well every day’’. Nadal, who triumphed at Melbourne Park in 2009, is one more victory away from winning all four Grand Slams at least twice. This is a feat which no other man has achieved in the Open era. In the same vein, Serbia’s Djokovic is also about to make history as he bids for a record seventh men’s singles title, if he beats Grand Slam semi-final opponent, Pouille.